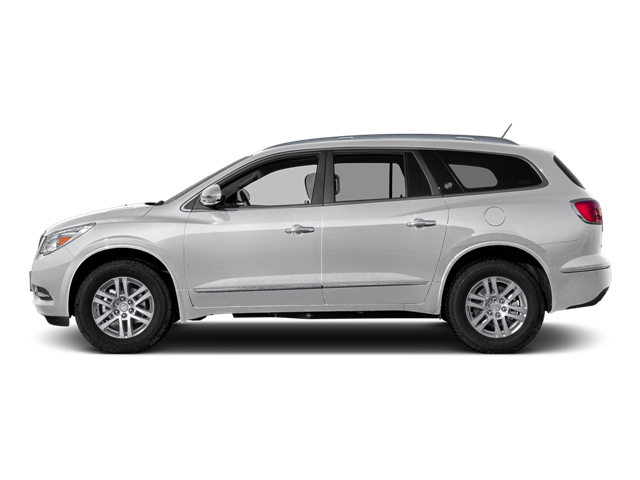 Stunning in Summit White, our 2016 Buick Enclave Leather Group delivers the first-class ride with all of the space, comfort, and reliability you desire. This All Wheel Drive crossover has a capable 3.6 Liter V6 that offers 288hp that is paired with a 6 Speed Automatic transmission in order to provide impressive acceleration. Thanks to an innovative suspension this SUV minimizes road impact and noise so you can peacefully enjoy 22mpg in any environment. The elegant contours of our Enclave are beautifully complemented by impressive wheels, automatic xenon headlights, rear privacy glass, sunroof, and a power liftgate. Inside our Leather Group, appreciate ample space inside, and with features such as a sunroof, remote starter, heated mirrors, tri-zone automatic climate control, heated front and rear seat, and an auto-dimming rearview mirror, you'll also feel perpetually indulged. Take connectivity to the next level courtesy of OnStar telematics with available WiFi capability, Bluetooth, navigation, rear DVD entertainment, IntelliLink with voice control, and a prominent touchscreen display. Settle into your leather seast, turn up your favorite tunes on the impressive sound system with satellite radio, and grip the heated steering wheel. Drive with confidence knowing our Buick Enclave has received top safety scores with blind spot warning, anti-lock brakes, stability/traction control, airbags, a rearview camera, and OnStar assistance. Abundant in space, performance, and style, this is a superb choice for your active lifestyle. Print this page and call us Now... We Know You Will Enjoy Your Test Drive Towards Ownership! Hello, I would like more information about the 2016 Buick Enclave, stock# 16089A. Hello, I would like to see more pictures of the 2016 Buick Enclave, stock# 16089A. Ready to drive this 2016 Buick Enclave? Let us know below when you are coming in, and we'll get it ready for you.